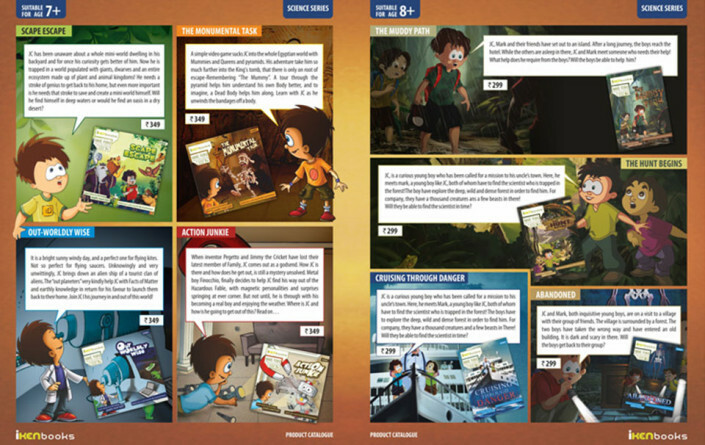 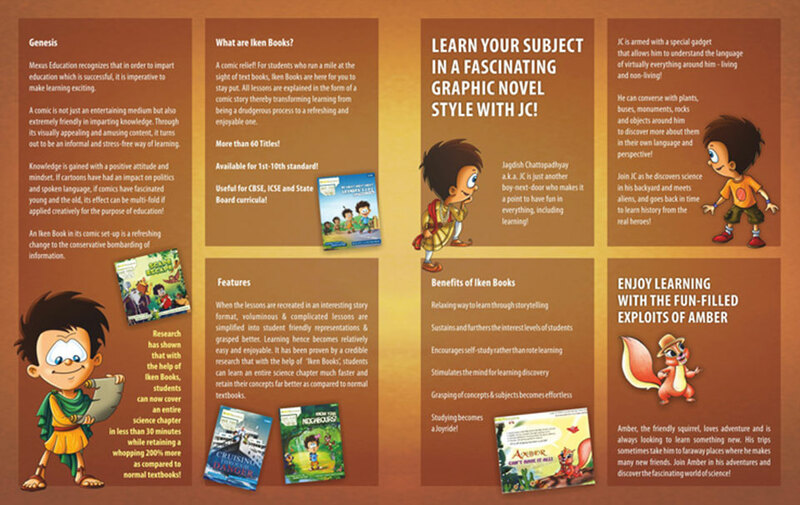 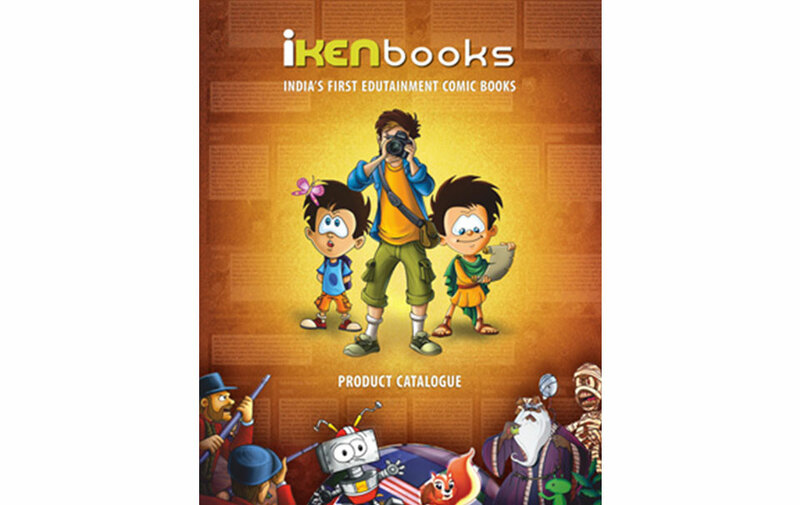 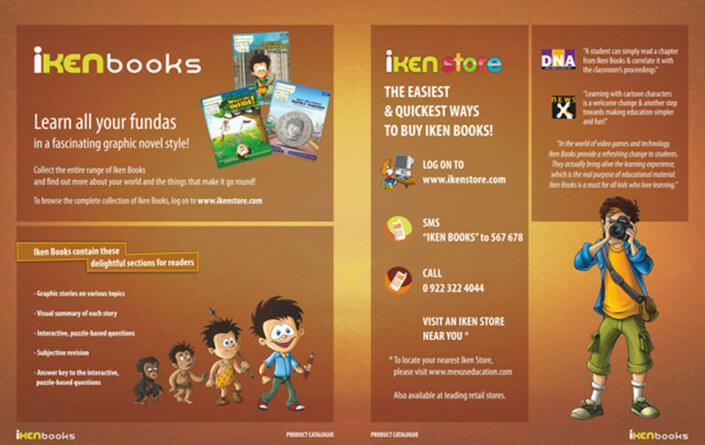 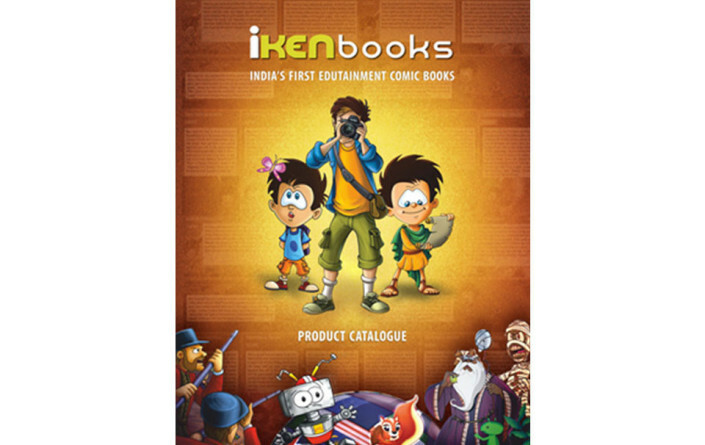 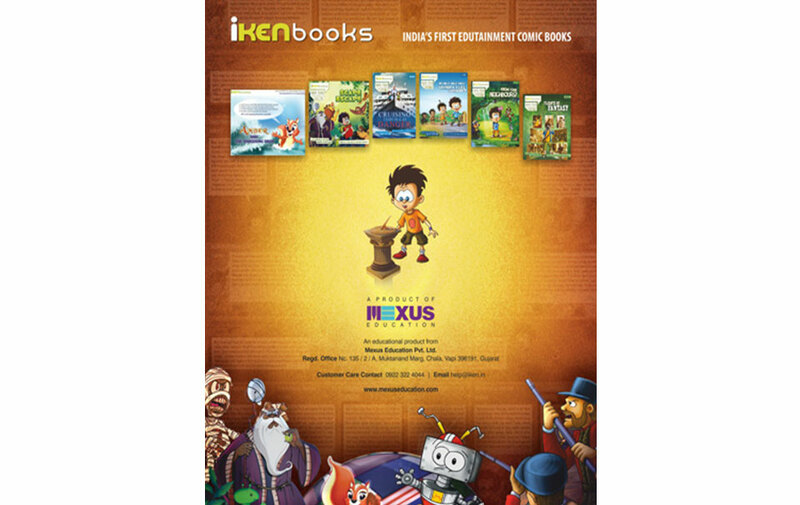 Catalog design for iken Books, India’s first edutainment comic books. 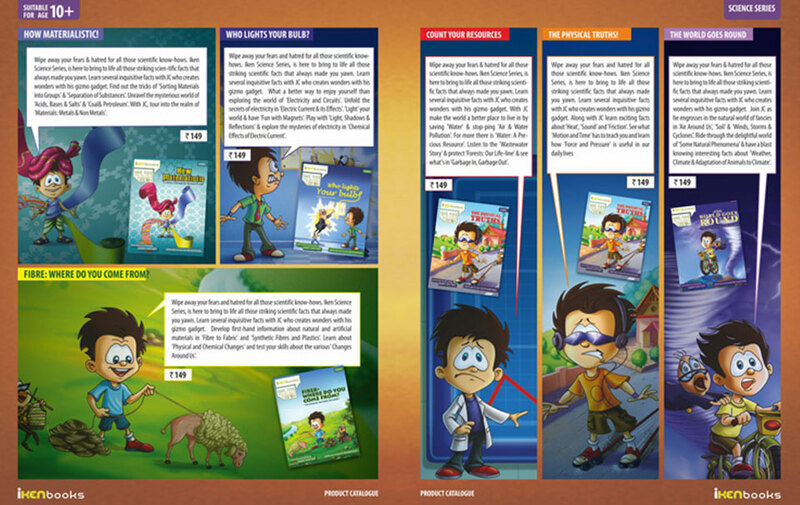 We carried forward the elements used in the design of the book covers (we did most of the covers for the product range) and used them to accentuate the design. 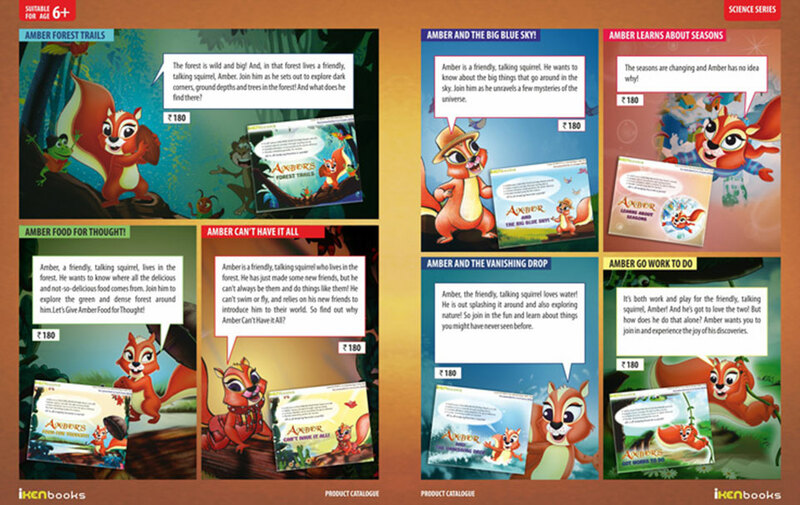 The comic book look – callout shapes, character snippets – were retained and used across the catalog, for ensuring better recall. 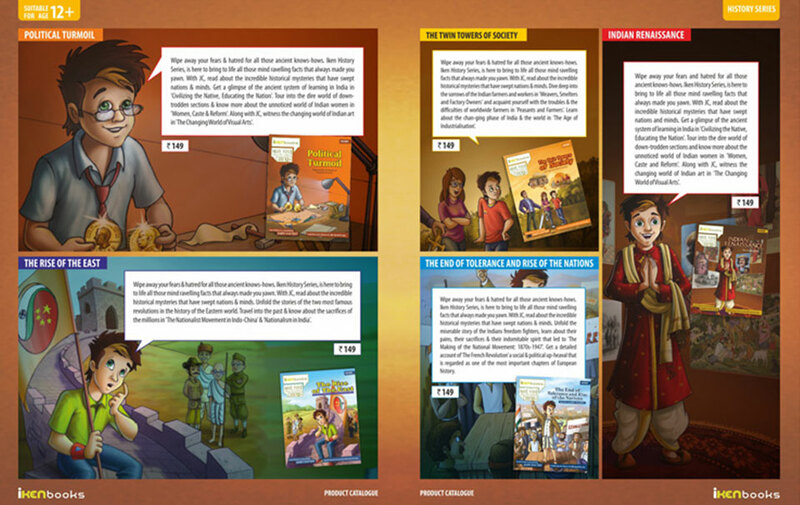 Kiran and Niharika worked tirelessly to complete the project, which was on a tight deadline.